Soloing over guitar chords can be quite easy when using the minor pentatonic scale. Add power and attitude to your guitar solo’s with these simple but highly effective techniques. You’ll be surprised with how much can be done. 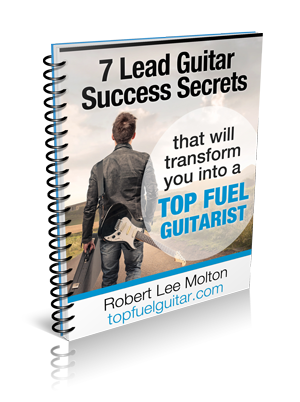 Many guitar players start with the minor pentatonic scale when learning to solo. Often times, people don’t learn to use the scale to it’s full potential and this can hold you back. Major, Minor and Dominant 7th Chords. A Major chord always has a relative minor chord. The easy way to find the ‘relative’ minor of any major chord on a guitar is to take the note three half-steps (3 frets) below the root note of the major chord. Example: a C major chord – the root note is C. On a guitar, the note 3 frets below a C note is A. Therefore, A minor is the relative minor of C major. For Pentatonic Guitar Soloing over a C major chord, use the A minor pentatonic scale and you’ll instantly discover that it sounds great! Example-2: F major chord – three frets below the root of F, you will find D. You’ll use a D minor pentatonic scale over an F major chord. Example -3: G major chord – three frets below the G root note you’ll find E. You’ll use the E minor pentatonic to solo over a G chord. Now, you may have noticed that I listed C, F and G major chords there. Coincidentally, They are the 1, 4 and 5 chords of the ‘KEY’ of C Major. This applies to all instruments, not just guitar. An easy way to view this… simply use the minor pentatonic scale directly on the minor chord itself. You can do this in any key, over any minor chord. This is the most common form of Pentatonic Guitar Soloing. Example – Use D minor pentatonic for a D minor chord, an E minor pentatonic for an E minor chord, an A minor pentatonic for an A minor Chord. If you’ll notice I used D, E and A minor chords as the example… These chords are the 2, 3 and 6 chords of the ‘KEY’ of C Major? You have a couple of choices here. But basically, you would use the relative minor pentatonic, or the minor pentatonic a tone below the root of the dom7 chord. Example – over G7, you could use either E minor pent (relative minor), or D min pentatonic. The reason you could use the D minor pentatonic over a G7 chord is because the Dmi chord and G7 chord often go together in chord progressions. Forcing a Dmi sound over a G7 chord gives a G7sus sound. All These Pentatonic Guitar Soloing Examples Are Based In C Major. An interesting thing is that you can use just the A minor pentatonic alone for ALL the chords in C, or you can also use the D and E minor pentatonics to add some color and more conformity to the chords being used at the time. Remember, these principles apply to whatever chord you are playing at any time, but can also be applied on a KEY basis, which is a more encompassing picture. The Key of C Major has these chords: C, Dm, Em, F, G7, Am, Bmin7b5. A-minor pentatonic can be used over them all, or just the C and Am chords. D minor pentatonic can be used over the F and Dm chords. E minor can be used over the Em and G7 chords. You’ll ultimately need to decide for yourself which sounds best for the music you’re playing. I suggest using them all. That’s the beauty of music. If you use them as described, you’ll quickly be able to harness the full power from these staunch sounding scales. 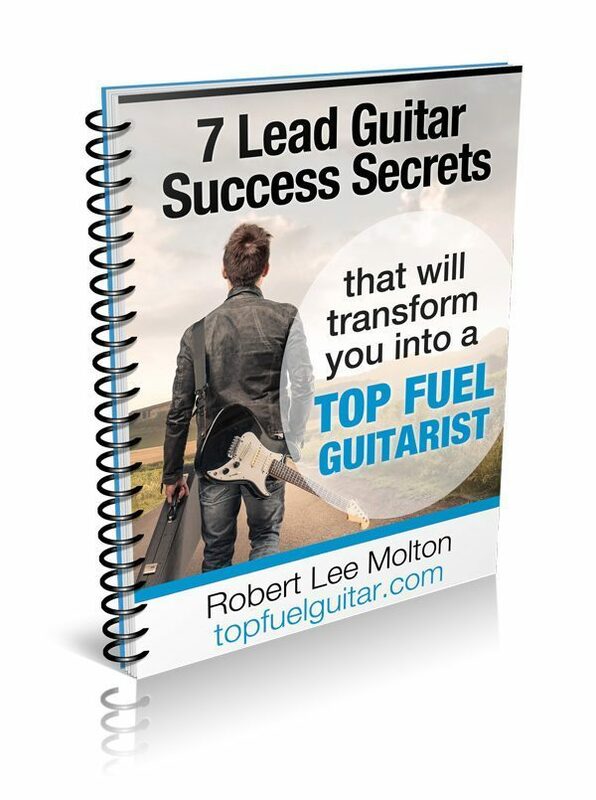 I hope this has helped you to expand your guitar playing. Bob, thanks for the post. This information will be extremely helpful. Any suggestions on how to incorporate or apply this in a three piece group without sacrificing or losing the rythym sound? Rik Emmitt I am not.